use and much easier to assemble. Accu-Mold was presented with an opportunity from a major manufacturer within the heavy truck manufacturing and aftermarket industry. The manufacturer needed to develop a comprehensive solution to a service issue that needed prompt attention. Accu-Mold provided a new product design to the customer within 5 business days that solved their issue and allowed them to offer the solution both inside and outside of their organization. 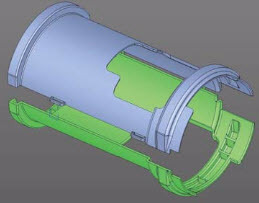 The product is more robust, lighter, easier to use and much easier to assemble.Accu-Mold’s nimbleness and problem solving experience, combined with the capability to engineer solutions for shifting material from metal to plastic, offered them the ability to respond when the customer needed it the most. 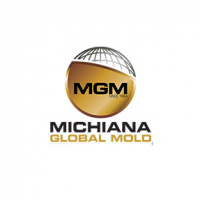 Most importantly, Accu-Mold will now take the product to the next level by injection molding the two halves, assembly, individual service packaging, and direct distribution both domestically and internationally.